Setting up a blog for your home-based business is one of the best ways of building authority online. As a home-based or small business, leveraging your personal brand online is one of the best ways of attracting and connecting with your dream clients. You can do this via social media and also through a blog. While I’m a huge fan of using social media, I also know the value of having somewhere to direct your prospects other than your social media accounts, which can disappear at any time. I’ve been building websites for my business since 2011, starting with a flash site that I put together to showcase my photography portfolio 🙂 They were the rage back then, don’t laugh. Website Copy: Even better than a pretty website is copy that converts. Copy is simply the words on your site. It’s often the case to struggle to find the words to express exactly what you offer is. And there’s a lot of pages to write copy for on a website. Brand colours: I love colour, and I flip-flop between bright and airy and neutral and mute 🙂 So you may find it a struggle too to figure out what colours to use for your site, and how to get those colours in the right hues for a coherent look. Target audience: This is possibly the hardest one, knowing how to identify properly whom you want to be talking to, and using the language that speaks to them. Building a funnel: Funnels have the bane of my existence, and I’m still learning to wrap my head around them. But if you have a business, this is how you automate your business, so that you can make money in your sleep. However, it takes some practice to put it together too. So before you get to the website itself, you need to have a strategy in place of how you are going to build and sell, this is even more important than the site design because there’s no use having a beautiful site that doesn’t make you sales. I believe I was able to complete my website this quickly because I had these 4 elements in place, and I was guided through them by a secret weapon I’m about to tell you about. I was scouring Youtube one day for helpful business information and after seeing a few videos, one caught my eye. This video to be specific. Her content spoke directly to my needs, and she even had a freebie to help me with this need in my business. I implemented her advice immediately and when I got results, I knew that she was legit. I discovered that she had a course available and I purchased it immediately. And this my friend, is what guided me through setting up my website so quickly. Now, I’m not saying that you’ll be able to set up yours in 10days as I did, it totally depends on your skill level and time you have. To give you an idea, I averaged 4.5 hrs of sleep every night in the 10days, and I had a few posts written already, so I could go through the process faster. But if you need help establishing a converting site easy enough, this is is a simple course that I would recommend. Tanya walks you through how to set up your blog, including answering all the tough questions I’ve outlined above. I like that even if you have a blog already, you can go through the material and tweak as needed to build a converting site. I launched my blog about a day ago, and I already have quite a few leads (I’ll update these stats). This has me excited because it means that I’ve done something right. So there’s 2 ways you can go about this. 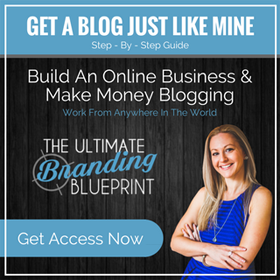 This link will lead you directly to the page where you can purchase the guide and start building your blog. 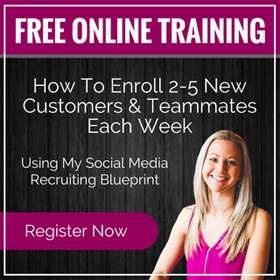 This webinar is packed full of valuable information that you can implement immediately in your business. If you’d like to check out Tanya, then you can go this route. I hope this is helpful as you think through your online strategy for your home-based or small business. Feel free to send questions my way if you have any.